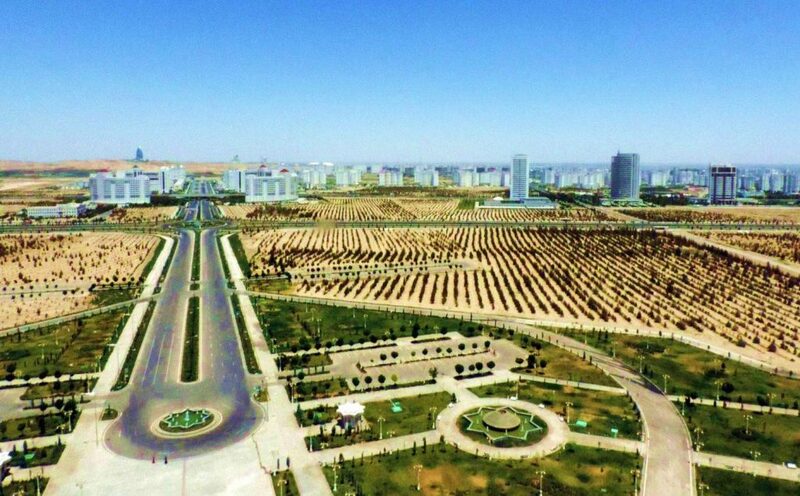 Ashgabat – the capital and the largest city of Turkmenistan in Central Asia, situated between the Karakum Desert and the Kopet Dag mountain range. 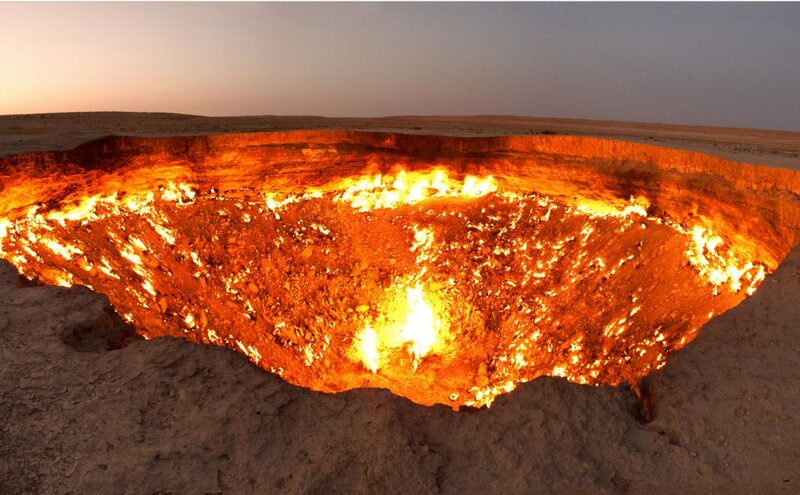 Darvaza gas crate – known as the Door to Hell or Gates of Hell, is a natural gas field in Derweze, Turkmenistan, that collapsed into an underground cavern, becoming a natural gas crater. Geologists set it on fire to prevent the spread of methane gas, and it has been burning continuously since 1971. The diameter of the crater is 69 metres (226 ft), and its depth is 30 metres (98 ft). In 2013, the city was included in the Guinness Book of Records as the world’s highest concentration of white marble buildings. 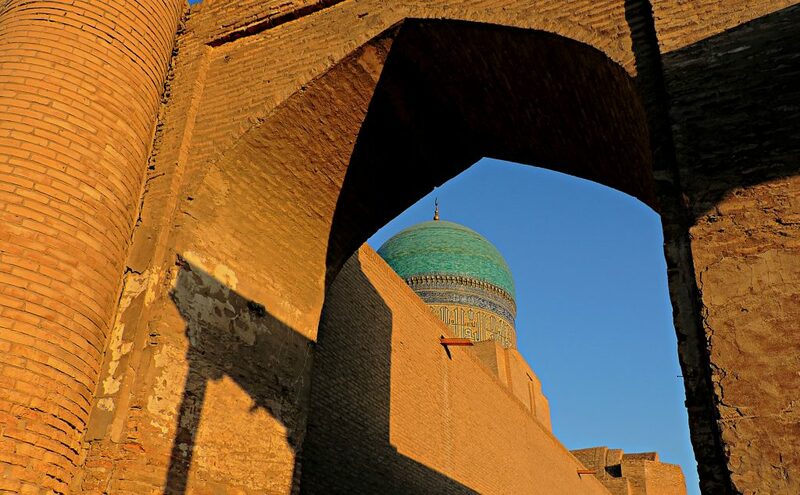 Khiva – the former capital of Khwarezmia and the Khanate of Khiva. Itchan Kala – The old town with +50 historic monuments and 250 old houses, dating primarily from the XVIII or XIX centuries. Djuma Mosque, established in the X century and rebuilt in 1788-89, although its celebrated hypostyle hall still retains 112 columns taken from ancient structures.The most spectacular features of Ichan Kala are its crenellated brick walls and four gates, one at each side of the rectangular fortress. Although the foundations are believed to have been laid in the tenth century, present-day 10-metre-high (33 ft) walls were erected mostly in the late seventeenth century and later repaired. 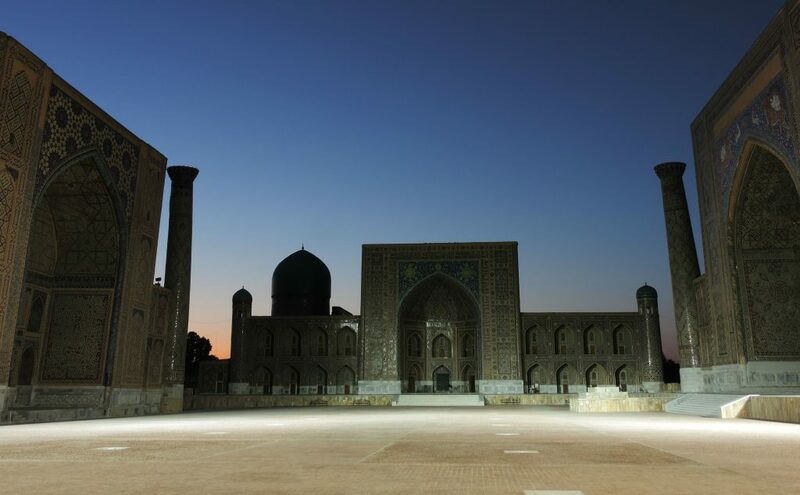 Bukhara – pearl of ancient Silk Road. One of the main centres of world civilisation from its early days in 6th century BCE. For long time it has been a center of trade, scholarship, culture, and religion. 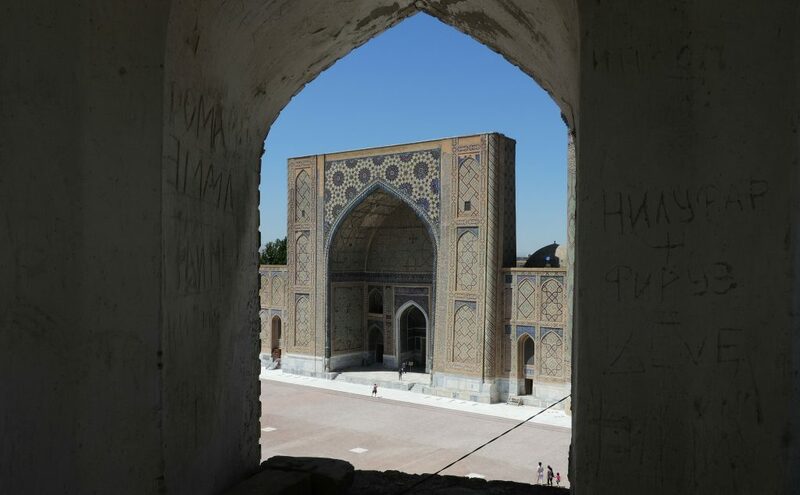 During the golden age of the Samanids empire, Bukhara became a capital of the Islamic world, second only to Baghdad. 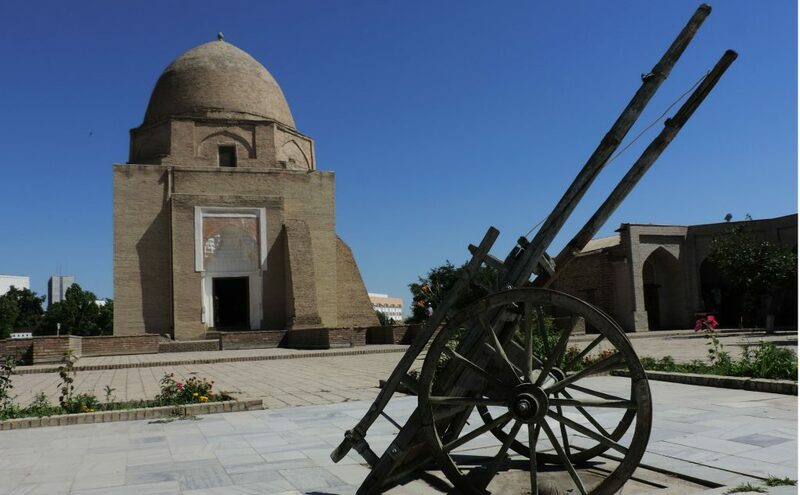 The historic center of Bukhara, which contains numerous mosques and madrassas, has been listed by UNESCO as one of the World Heritage Sites.Its architecture and archaeological sites form one of the pillars of Central Asian history and art. 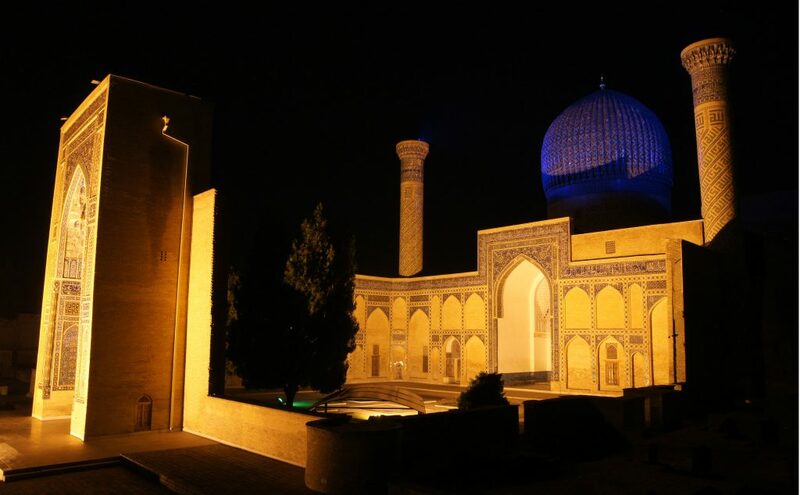 The region of Bukhara was a part of the Persian Empire for a long time. The origin of many of its current inhabitants goes back to the period of Aryan immigration into the region. 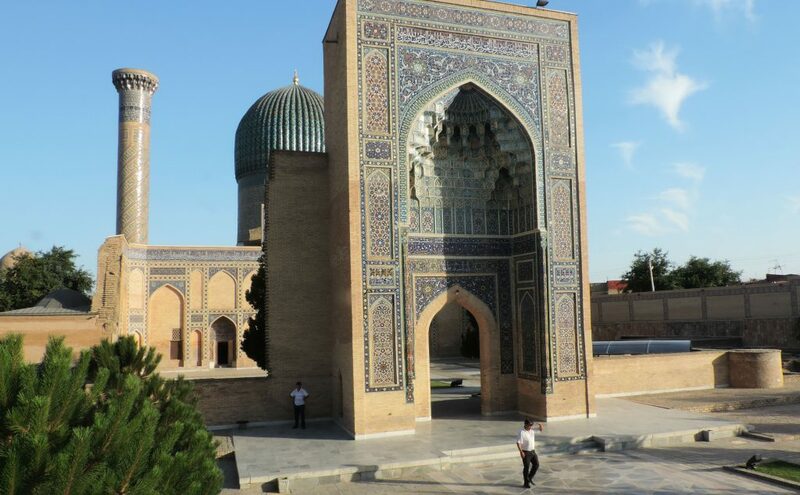 Samarkand – one of the oldest continuously inhabited cities in Central Asia. 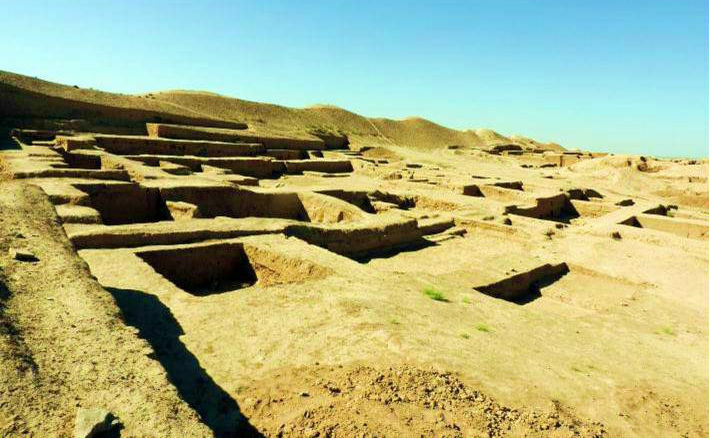 There is evidence of human activity in the area of the city from the late Paleolithic era, though there is no direct evidence of when exactly Samarkand was founded; some theories propose that it was founded between the 8th and 7th centuries BC. 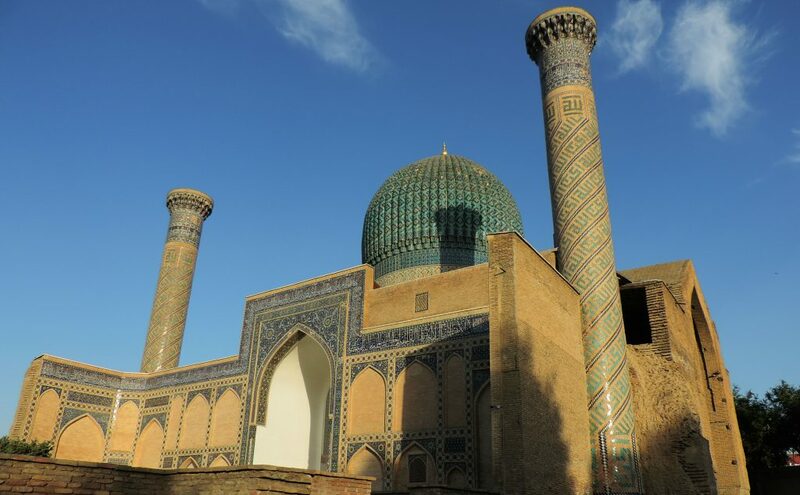 Prospering from its location on the Silk Road between China and the Mediterranean, at times Samarkand was one of the greatest cities of Central Asia.It e capital of the Sogdian satrapy. The city was taken by Alexander the Great in 329 BC, when it was known by its Greek name of Marakanda. The city was ruled by a succession of Iranian and Turkic rulers until the Mongols under Genghis Khan conquered Samarkand in 1220. 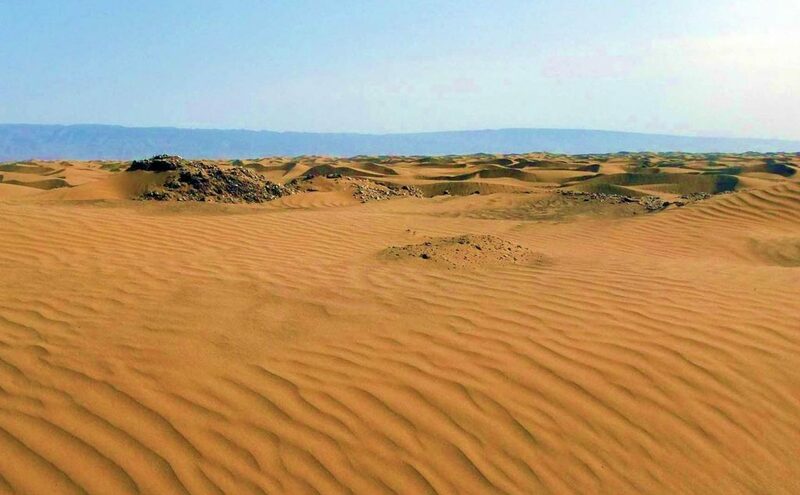 Zaamin National Park – the oldest nature preserve in Uzbekistan, created in 1926 as Guralash Nature Preserve on the northern slopes of the western part of Turkestan Range, in the valleys of the rivers Kulsoy, Guralash, Baikungur, and Aldashmansoy.